The Jaipur Foot, also known as the Jaipur Leg, is a rubber-based prosthetic leg for people with below-knee amputations. This certainly has made huge difference to many people in their lives transcending borders………. Bhagwan Mahaveer Viklang Sahayata Samiti (BMVSS) is the world's largest organisation serving the disabled. This NGO provides all its assistance, including artificial limbs, calipers and other aids and appliances totally free of charge. Christmas Eve, 1999. The whole World was bracing to celebrate the millennium ~ Insurers had created scare for themselves with Y2K coverage and endorsement !!! …. 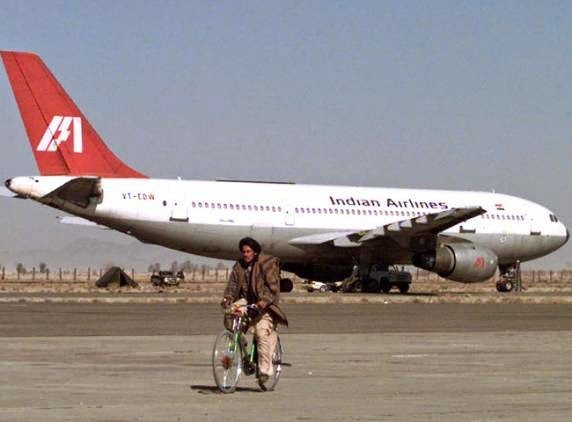 Trouble and distress was to descend on India in the form of an aircraft - Indian Airlines Flight 814 (IC 814) from Tribhuvan International Airport in Kathmandu, Nepal to Indira Gandhi International Airport in Delhi was hijacked. Harkat-ul-Mujahideen, a Pakistan-based Islamist group, was accused of the hijacking. IC 814 had 178 passengers as the chief hijacker ordered "fly West". The hijackers wanted Capt Sharan to land in Lahore, but there wasn't enough fuel. Wary of being linked to the hijackers, Pakistan quickly refused permission to land at Lahore. Capt Sharan told the hijackers that they have to land in Amritsar. The merciless mercenaries threatened killing passengers, started with Rupin Katyal. After touching down in Amritsar, Lahore and Dubai, the hijackers finally forced the aircraft to land in Kandahar, Afghanistan, which at the time was controlled by the Taliban. After the aircraft landed in Kandahar, Taliban authorities, in an attempt to gain international recognition, agreed to cooperate with Indian authorities and took the role of mediators between the hijackers and the Indian government but there were complications and India felt hard at an alien hostile land ending up freeing terrorists, who are still at large causing further damage to our Nation. BMVSS has rehabilitated more than 1.3 million amputees and polio patients by fitting / providing artificial limbs (Jaipur Foot variations), calipers, and other aids and appliances, mostly in India and also in 26 countries across the world. Today’s The Hindu reports that an Indian organisation, specialising in prosthetic legs, will supply artificial limbs free of cost to 1,000 physically-challenged Afghan nationals in the war-torn country. Jaipur Foot has signed an agreement with the Afghanistan government to supply 1,000 prosthetic legs to terror attack victims and polio sufferers.“The Indian organisation has agreed to provide the limbs free of cost,” said Amina Afzali, Minister of Work, Social Affairs, Martyred, and Disabled in Afghanistan. 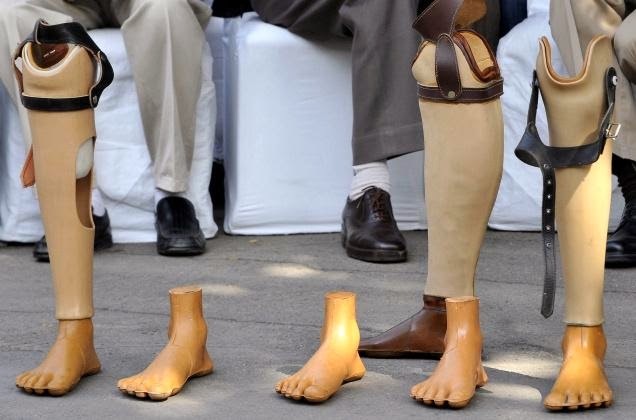 “Jaipur Foot will manufacture limbs for those who have lost their legs to roadside bombings, terrorist attacks or polio,” Afzali was quoted as saying by Pajhwok Afghan News agency. Afzali hoped the assistance would further consolidate relations between the two countries. Appreciate the Organisation’s noble attitude in extending service across the border ! !